51% of millennials said their cost of living is a major cause of stress. Learn tips on managing money, student loans, budgeting and saving. Are you a millennial who feels overwhelmed trying to get the most out of your money? With mounting concerns like student debt, stagnant wages, a saturated job market and simply trying to pay rent and buy groceries, you could surely be forgiven for panicking about your finances. In fact, 41% of millennials between the ages of 18 and 29 said they were unsure of what they’re doing when it comes to their financial matters, according to a 2017 GfK Consumer Life survey. And over half of millennials -- 51% -- said the amount of money they live on is a major cause of stress. If you want to save smart, you need to have an honest self-evaluation of your spending habits – what you really need, versus what you can do without. Joanne Bradford, chief marketing officer of SoFi, an online personal finance company that targets millennials, said the biggest expenses that destroy young people’s budgets include eating out, vacations and weddings. “It’s okay to say ‘no’ to a wedding. You don’t always have to say yes to the dress,” Bradford said. It sounds obvious, but she added that it’s important to create an actual budget so you can be aware of where your money is going. When it comes to managing your money, yes, there's an app for that. 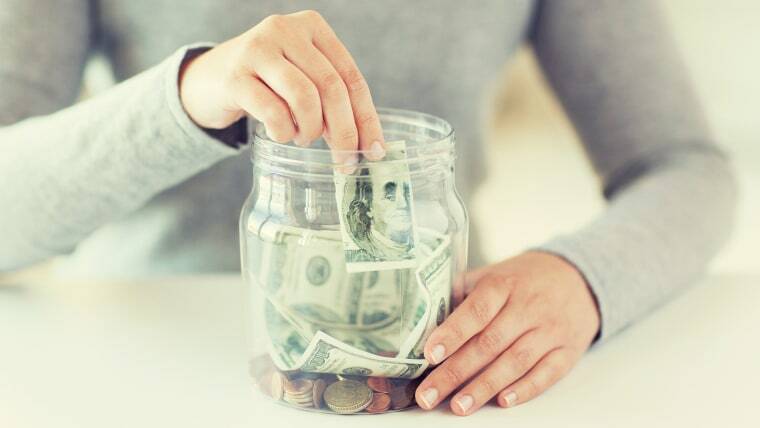 According to Jean Chatzky, Know Your Value contributor and financial editor for NBC TODAY, mobile applications like “Clarity Money” can help you identify wasteful spending patterns. It breaks down your spending from all of your accounts in one place. It even eliminates subscriptions services you no longer use in order to curb wasted accounts, saving you money and time. Chatzky also recommends “Digit” and “Stash.” These programs first look at your accounts, income and spending patterns. Then they recommend where you can save money each month and can even transfer that amount directly to savings. “When you look at your bank balance, that money is not there, so you’re not going to spend it,” Chatzky explained. Sometimes, the recommended percentages by financial experts on how you should budget your expenses don’t always work for everyone. For example, Chatzky recommends ideally placing 35% of your paycheck into your rent expenses and 15% into transportation costs. However, if you live somewhere like New York City with much higher living expenses, that may be impossible. Instead, she said, you can rearrange those percentages to fit your situation. Make them work for you. Consider living closer to the places you frequent for instance — like your office. “That means that the 15% that I might recommend you to spend on transportation can go to 5% and that gives you an extra 10% to funnel into your housing,” she explained. The tradeoff allows you to take the original 35% for housing that a financial expert may recommend to 45% of your paycheck going to rent because you saved money from transportation costs. Your financial goals define how you should approach investing, according to Boneparth. For example, are you working toward paying off student loans, saving up to start a family and buy a home or trying to get by as you navigate your career? Once you identify your financial goals and determine if they are short term or long term, then you can start finding the appropriate approach to investing. If your financial goal is something you want to achieve or pay off in four years or less, then “you’re not going to put any risk on your money; you’re going to save this cash,” he told me. On the other hand, he says, “If your goals are long term, seven to ten years or more, you have time on your side and more than likely, you can take a greater amount of risk.” Boneparth added that even when taking financial risk, you should still maintain a diversified portfolio in your investments. Although retirement may seem far off, it’s something you should be working toward now. Chatzky said the biggest mistake millennials make doesn't stem from not saving for retirement. Rather, it's the fallout from not investing those savings for the future. Chatzky added that even though younger workers may be skeptical of the up and down nature of the markets, stocks are an important part of retirement savings. “You’ve got 40 to 50 years for the markets to roller coaster, so put a good portion of your money in stocks,” she said. Chatzky also said it's important to keep your eye on investment costs and diversify by investing in many stocks at the same time. You can do that by investing in index funds or exchange traded funds, she explained, pointing to a total stock market index fund. "It holds thousands of stocks so you're diversified. One goes down, you're not going to get creamed. Another alternative is a target-date retirement fund which will keep you in the right mix of stocks and bonds for your age,” she said.